Ex-Navy SEAL Nolan Kilkenny receives a desperate plea for help from doctors frantic to save the life of a young boy with a deadly genetic disorder. The boy, who came to his parents through a blind adoption, has no known blood relatives. Nolan agrees to help, but as he is being prepped for surgery, the boy dies. Further genetic testing then reveals an astonishing truth: Nolan and the boy share the same biological father. Nolan must confront his own father to find out the truth behind the discovery, and uncovers a heinous blackmail plot and desperate victims and villains. 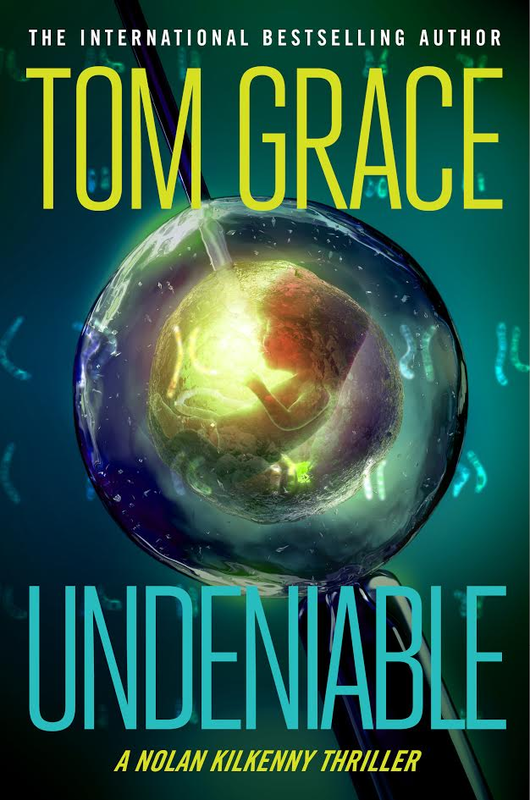 Undeniable, the sixth Nolan Kilkenny thriller from Tom Grace, takes Nolan into the brave new world of reproductive technology, where the building blocks of life are manipulated in a Petri dish, women lease their wombs like rental properties, and money trumps morality. In an age of rapid advances in human genetics, cloning and stem cell research, what seemed impossible just a few years ago is now a reality. DNA has been reduced from a miraculous molecule into a data storage device, and the information it contains is as easy to hack as any computer file. Undeniable is a novel that steps beyond the traditional parent-child relationship into a chilling new reproductive reality.